More must be done to prevent gun crime, campaigners have said after a man was jailed for life for shooting dead seven-year-old Toni-Ann Byfield. 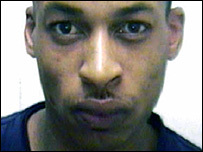 Joel Smith murdered the schoolgirl and rival drug dealer Bertram Byfield at a Kensal Green bedsit in London in 2003. Jennifer Ogole, from the Not Another Drop anti-gun campaign, said better education would prevent more gun crime. "Young black men continue to lack opportunity in this country," she said. "Many of them are turning to crime." 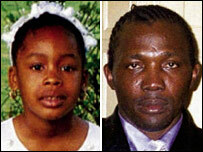 Toni-Ann was shot in the back after she saw 41-year-old Mr Byfield, who she regarded as her father, shot by Smith, 33. On Friday, Smith was told at the Old Bailey that he would spend at least 40 years in prison for murdering the pair. Toni-Ann's mother, Roselyn Richards, condemned the "callous and cold-blooded killing". Not Another Drop spokeswoman Ms Ogole said government action was needed to prevent further gun attacks. "In order to get to the bottom of it they would have to look at things like the education system," she told BBC London 94.9. "Prison systems do not really work." The Not Another Drop Campaign was formed in 2001 by local people, the police and councillors to reduce gun crime in Brent, south-east London, following a series of murders. "Gun crime does not spring from nowhere," Ms Ogole said. "It is the combination of failures of many systems."